NF - above 5145-5140 go to 5198. minor hurdle 5175. support 5116 & 5090-5080. BRFL - 225-228 hurdle. above this level go up 235 & 246-249. support 217-215. ATLANTA - below 202 come down to 196 & 191. resist at 211. IVRCLINFRA - above 333 may attack 340 & 347-350. support 325-322. JAYSREETEA - below 340 come down to 332 & 328. resist 348-352. 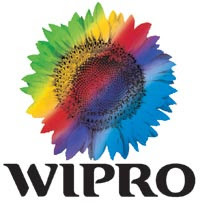 WIPRO - above 712 go to 733 & 750. support 702.